Today's Theme - "Ball-Screen (Pick and Roll) Offense"
The pick and roll (ball-screen) is one of the oldest plays in basketball, remains a very effective offensive weapon, and is being used more than ever. 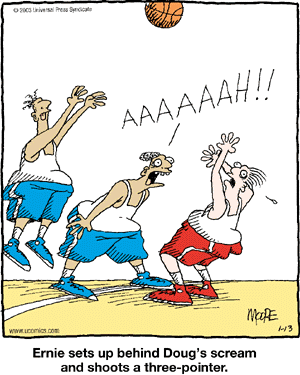 The pick-and-roll has become popular as a method for gaining dribble penetration and then drawing and kicking - either kicking in to a player near the basket or kicking out to a three-point shooter. At the professional level, the pick-and-roll has become a primary part of the offense for most teams. It has also become a part of college and high school play. 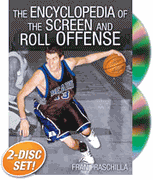 The following articles and DVDs will help you develop a pick and roll offense. Coach Wissel (founder of BasketballWorld) has a wealth of NBA experience as an Assistant Coach with the Atlanta Hawks, Memphis Grizzlies and New Jersey Nets. Hal coached Florida Southern College to the 1981 Division II NCAA Championship. A number of ball-screen plays are shown. Several excellent pick and roll plays are presented, along with a couple video clips. Ball screens are becoming a huge part of basketball and can be a successful tool for your team if they are executed properly. This ball screen DVD will give you the tools you need to install this system into your program. In this on-court clinic presentation, Chris Mack gives you a comprehensive look at the inner workings of a successful ball screen offense. Using his detailed teaching style, Fran Fraschilla lays out everything you need to know to install and master the Screen and Roll Offense!